A comedy-drama stage adaptation, I Ought To Be In Pictures tackles father-daughter issues and comes up empty. 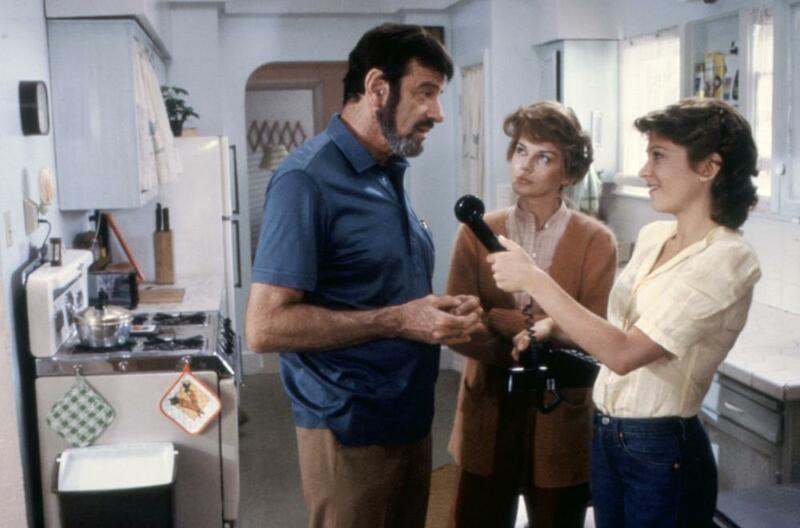 19 year old Libby Tucker (Dinah Manoff) travels from New York to Los Angeles to reconnect with her father Herbert (Walter Matthau), a writer who abandoned the family when Libby was three. Libby dreams of a career in acting and imagines Herbert to be a powerful Hollywood big shot, but instead finds him to be a washed-up gambling addict, unemployed and suffering from writer's block. His girlfriend is movie studio hairdresser Steffy (Ann-Margaret), who tolerates Walter but is growing weary of his lack of ambition. Libby and Walter immediately clash, as he finds it difficult to connect with his headstrong and talkative daughter and she is unable to forgive his past sins. But gradually they warm up to each other, she moves into his apartment, and they construct a functional relationship. But Libby will not find it easy to carve out a new life. An adaptation of the Neil Simon play directed by Herbert Ross, I Ought To Be In Pictures is smothered by over-embroidered prose dancing between cringe-worthy, needlessly profound and just plain embarrassing. Ross also directed the Broadway show and does not try too hard to transform it into a film experience. As is often the case, what works well on the stage appears ridiculously ceremonial on the screen, and the phrases coming out of the mouth of Libby and Herbert rarely carry a genuine warmth. The movie is very much a two character study, and scene after scene feature Libby and Herbert carrying on long conversations, typically at his apartment. Ross throws in perfunctory excursions to the baseball park and the racetrack in half-hearted attempts to ventilate the claustrophobic setting. The topics of conversation range from her improbable career aspirations to his unforgivable abandonment of the family, and finally no less than the most awkward father-daughter non-talk about the emotions of sexual experiences. Simon's writing is undoubtedly clever, but when every other line has to be a zinger, the unrealistic quantity competes unfavourably with quality. Dinah Manoff was the one stage performer allowed to recreate her character for the film, and she receives no help from Ross in modulating. The character of Libby is borderline irritating at the best of times as the talk-non-stop Quixotic daughter on a quest to conquer her father and the acting world, and Manoff's shout-it-to-the-rafters delivery does not help. Matthau is much better, and carries the film as the stooped writer long past caring in a town run by younger men. Ann-Margret is fine in a supporting role, although she is never able to properly explain why the seemingly smart Steffy is hanging out with an indebted has-been like Herbert. Despite the many weaknesses the film does find a few highlights, and most of these arrive in the final act. Once father and daughter make the adjustments to accommodate each other, Ross finally finds a few poignant scenes. The shouting and recriminations are replaced by hushed, tender, and cinematic conversations, and finally emotions seep through. It's all too little and too late, the film having been well and truly pulverized by all the theatrical antics. Despite the title, I Ought To Be In Pictures ought to stay on the stage.